In London, Iris Simpkins writes a wedding column in a newspaper and nurtures an unrequited love for her colleague Jasper Bloom. Near Christmas, she is informed that Jasper is engaged to marry another colleague, and her life turns upside down. In Los Angeles, the movie-trailers maker Amanda Woods has just split with her unfaithful boyfriend Ethan and wants to forget him. Through a house exchange website, Amanda impulsively swaps her mansion for Iris' cottage in Surrey for the holidays. While in Surrey, Amanda meets Iris' brother and book editor Graham and they fall in love with each other. Meanwhile, Iris meets her new next door neighbor the ninety year old screenplay writer Arthur, who helps her retrieve her self-esteem, and the film composer Miles, with whom she falls in love. Continuity: When Amanada gets out of the car to run back to the house, the road they just drove down does not have any tire tracks. Graham: Well, I cry all the time. Graham: Yeah I do. More than any woman you've ever met. Amanda: You don't have to be this nice. Graham: It happens to be the truth. Graham: A good book, a great film, a birthday card, I weep. Graham: I'm a major weeper. Do you like chocolate? Do you know that moment, even before you put it in your mouth? You can imagine that taste. You can feel that rich sweetness on your tongue, the smoothness going around your mouth . . . The Holiday is a romantic comedy. You know what that means. And if you don't like romantic comedies, don't go and see it. If you do, you will know what to expect. The mushy feelings creeping up on you. All those 'If Only . . .' emotions telling you there is a lovely place somewhere in which people fall in love and everything works out kinda perfect. If only for a while . . . say, for the holiday period over Christmas and New Year . . . or for the 138 minutes which this film lasts. Two Women on the Verge of Emotional Breakdown do holiday house swap. They escape lovelorn predicaments and find 'unexpected' love on their opposite sides of the Atlantic. Cue picturesque English country house just the way Americans imagine it (with sheep out the back). Cue enormous L.A. mansion with swimming pool (just the way Brits imagine it). Cameron Diaz is Amanda, owner of a movie-trailers editing firm. Since she's played the same comedy character several times, there are few surprises; but an excellent script, written directly for her and the other three leading stars, projects it rather better than average. 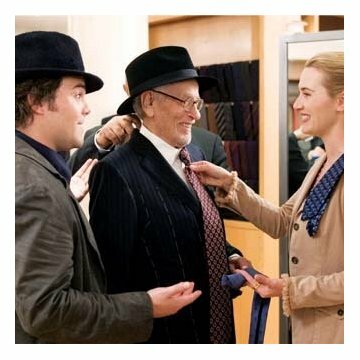 Kate Winslet as Iris, a successful writer on The Telegraph, is more nuanced: an actor with considerable range, we cannot but help admire the way she does 'pathetic girl' rather beautifully in a role that she could manage with one hand counting the ways to have fun and get paid simultaneously. Formulaic it is (wonderful women with scoundrelly fellas eventually get The Real Men They Deserve - meeting puppy dogs, children, and falling snowflakes on the way of course). But, well-done within a narrow genre, it still stands out. No-brainers like this tend to have dumb scripts and dumber acting, but The Holiday contains warm, natural dialogue and heartfelt chemistry. If this was the 40's, you'd want Jude Law and Cameron Diaz to get married off-screen afterwards. Charismatic and entertaining, unless you find Diaz, Law or Winslet personally irritating (some people do), they are a joy to watch, filling their parts with love and light. Excellent production values keep the rather trite story flowing. Everything is picture-perfect, long lenses flattering the features of the already handsome stars, filters and soft-focuses carefully delineating the mood. There is an overall honesty to the performances. "You look like my Barbie!" delights a four-year-old excitedly to Diaz. Ironic? But said with so much affection it is self-deprecating rather than cutting. 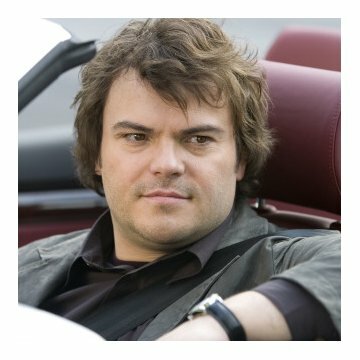 Jack Black struggles to get out of his music-and-silly-faces typecasting but just manages to look the part for an intellectual Iris who is not attracted to skin-deep. Jude Law, on the other hand, could be an advert for men's skin cream, and too rounded a character to be mere pin-up material. With more Christmas songs than you can shake a piece of tinsel at, The Holiday is a warm, snuggly romance to lose yourself in before coming firmly back down to planet earth. It might be shallow, but it's seasonal entertainment - and a Swiss chocolate of romantic comedies.